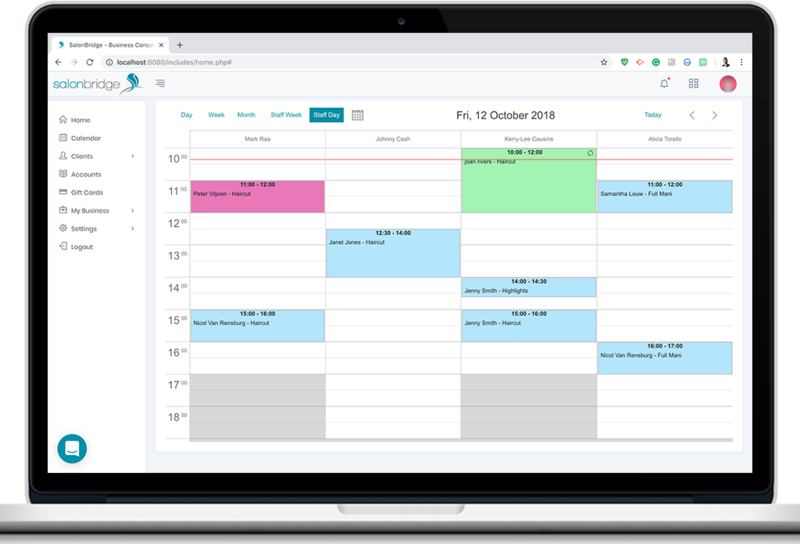 The SalonBridge appointment calendar gives you complete control with a clean, simple interface that lets you seamlessly add, edit, delete and move appointments as you please. By allowing you or your receptionist to easily click or tap on a time, input the client name and service, SalonBridge does the work for you by doing instant client lookups, automatic duration, and appointment notifications. New clients get added automatically to your client database and their appointment gets added to their profile and account instantly! Until now, client appointments were captured on client cards which are difficult to keep track of, and time-consuming to update. With the SalonBridge appointment calendar, client and appointment notes are added to a client’s profile automatically. Synchronizing instantly with the SalonBridge app and your online appointments, the SalonBridge Appointment Calendar helps you to better manage your day and gives you the peace of mind that your client and appointment information will never be lost.